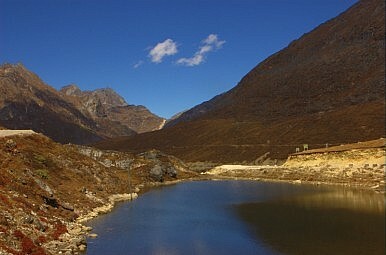 Arunachal Pradesh is celebrating 25 years of statehood. With China in mind, India is keen to develop it. With an eye clearly on China, the UPA government announced a slew of measures for speedier development of the border state of Arunachal Pradesh. The announcement coincided with the 25th anniversary of statehood for Arunachal Pradesh, which Prime Minister Manmohan Singh described as “Our Land of the Rising Sun.” These measures are aimed at boosting the state’s infrastructure development and the creation of jobs. The announcement was made by Defense Minister A.K. Antony in Itanagar, the capital of Arunachal Pradesh, while kicking off five days of celebrations. Notably, Antony stressed the importance of a secure, non-porous international border in Arunachal Pradesh. “Non-porous” is the key here. India has open borders with neighbors like Nepal and Bhutan, while India’s border with Bangladesh has been a matter of concern for decades, largely because it remains porous despite India’s best efforts. By stressing the fact that India wants Arunachal’s international border to be “non-porous,” Antony has pointed a finger at the sensitive nature of this northeastern state, which China describes as “South Tibet” and claims in its entirety. Antony specifically mentioned a number of proposals submitted by the state to the Prime Minister’s Office and the Planning Commission, ranging from improving road connectivity to better infrastructure to making provision for drinking water facilities in border areas. He assured the people of Arunachal that these ideas will be given serious consideration. The Border Roads Organization, which is under the operational control of the Defense Ministry, has been hyperactive in Arunachal and has completed projects worth more than Rs.2,900 crores (about $600 million) over the past six years. Antony reminded locals that their state was the future powerhouse of the country and suggested the multiple hydel power projects that are currently under various stages of construction could generate revenue of over $ 2 billion for the state each year once these projects become operational. Antony added that once that happens, Arunachal Pradesh could become the richest state in per capita terms in the country.